I have allowed myself to be defined by a failure twenty-four years ago. I’m no longer willing to be defined that way. Maybe I’m growing up. A few years ago, I was speaking to a friend about it. I think I termed it a mistake. “Going off to Carleton for journalism was such a big mistake.” I said. “Really? You think it was a mistake? I don’t see it as a mistake. You took a risk.” That was the gist of what she said to me. I think I was speechless. I NEVER saw going off to Ottawa to study journalism as a risk. Because I am not a risk-taker. At least I’ve never considered myself one. Her words have stuck with me over the years and lately I’ve started to re-examine some things. I’m starting to overcome the anxiety and fear that have been my companions for much of my life. It’s amazing how other things come into focus once those two frauds exit your life. So as 2014 approached and people talked about resolutions, I started to take stock. I didn’t want to make a resolution. I have decided to set goals. A goal is “the aim or object towards which an endeavour is directed.” This year I am endeavoring to say “I can” rather than “I can’t”. The word can’t has been too much a part of my life thus far. I am aiming to be a can do person and teach my children that as well. Can’t is becoming too much of a way of thinking for my youngest child. It must be stopped. 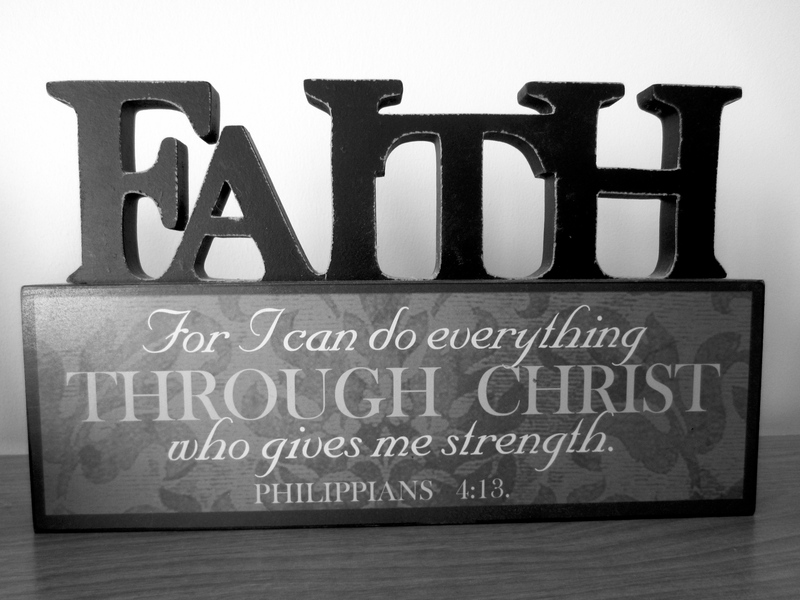 “For I CAN do everything through Christ, who gives me strength.” (emphasis mine). My mother has always given me this verse. This year, I am going to endeavour to live it. There’s some exciting things starting to take shape in my life and I don’t want to miss out because I think I can’t do it. “Standing on the fringes of life offers a unique experience, but there’s a time to see what it looks like from the dance floor.” ― Chbosky, The Perks of Being a Wallflower. It’s time to move onto the dance floor. I’m tired of viewing life from the sidelines more often than not in recent years. I want to be the person Christ created me to be. Saying I can and then trusting in his strength to help me is the first step to being that person. She has shown up occasionally but not nearly enough. But the moments of illumination of her existence gives me hope. When I went off to journalism school, I was looking for adventure. I wasn’t looking for safety. I wanted the thrill of a workday that was never the same. I wanted to be out in the world. To see the world. I left my home to go to Ottawa which was a seven hour drive from Innerkip. No one in my family had done that. I’d also forgotten that marrying a guy who wants to be a pastor is a bit of risk. Ministry is full of risks as is any leadership position. We moved around the country. I’ve lived in six cities and two provinces since we got married almost twenty years ago. I’ve had to make friends and then make more new friends over six times. It’s a risk to let yourself be known by others. So my friend from a few years ago wasn’t as far off as I first thought. There is a risk-taker buried deep down. Hopefully 2014 will see her emerge as the words I CAN take root and I rely on a strength not my own.